The MP Sweeping management team offers nearly 30 years of experience in heavy-duty broom sweeping in the Massachusetts market area. 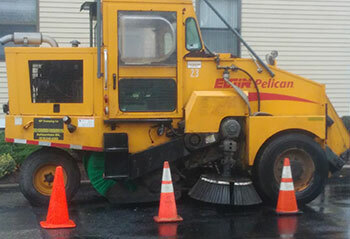 MP Sweeping utilizes one of the world's best mechanical broom sweepers for our customers, the Elgin Pelican SE. In addition to being available for sweeping streets in cities and towns, MP Sweeping also performs routine construction site cleanup and works with area paving companies during milling and other activities. 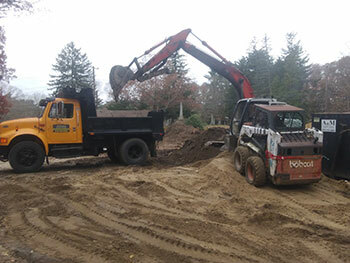 We also provide spring cleanup of parking lots, where we can utilize a Bobcat and dump truck, as needed. 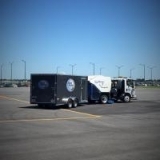 We are available for all types of heavy hauling and site cleanup. 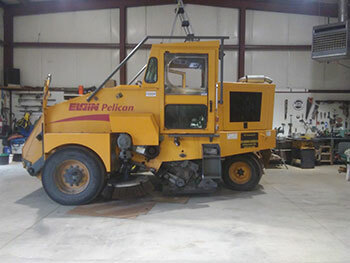 MP Sweeping has a top-notch repair facility where we keep our equipment in excellent condition. As an owner-operated company, we are 'hands-on' to make sure the service you receive is exactly what was specified, each and every time. 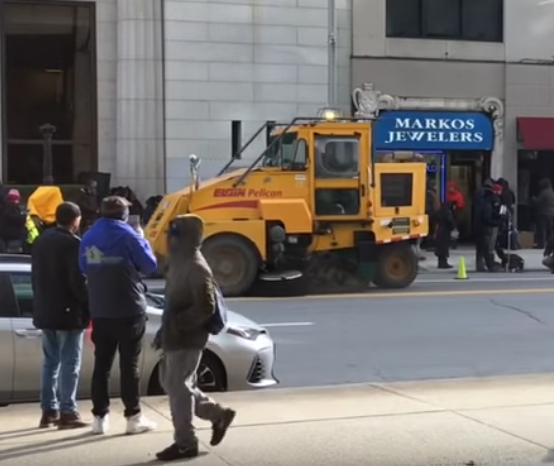 We were proud to have been selected — in part because of the quality condition in which we keep our sweepers — to be included in a movie being filmed in our area, "Honest Thief in Worcester." If you'd like to view our brief cameo as it was being filmed, here is a YouTube link. 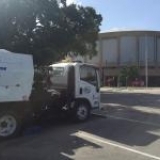 If you have the need for the powerful cleanup capability MP Sweeping is able to provide, as well as a company that always includes an operator who is well-trained on both our sweeper's capabilities and the requirements for most all types of heavy-duty sweeping, please give us a call at 978-340-6382. We look forward to providing you with a no-charge evaluation of your needs and then exceeding your expectations!